"Move-in Ready Home has been beautifully updated with the most modern finishes, flooring and features. 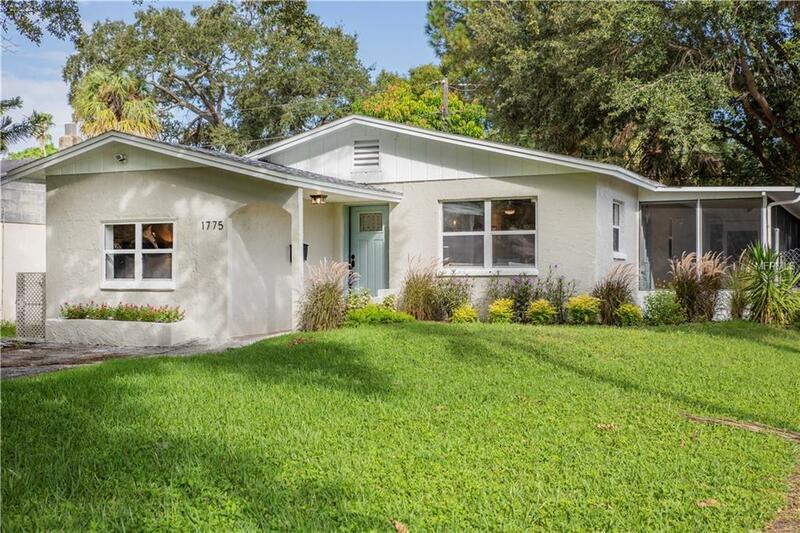 This is another "must-see quality renovation by Legacy Homes of St. Petersburg. Great layout with the Master Bedroom suite split from the 2nd and 3rd bedrooms. The Master Bedroom features NEW plush carpet, a walk-in closet and en-suite master bath. The Master Bath has a NEW shower with frameless glass door, new vanity and granite countertop. The completely NEW kitchen is open to the Dining Room and Living Room. It features NEW all wood, soft close cabinets, new granite countertops, crown moulding, subway tile backspalsh and stainless steel appliances. The 2nd full bath was renovated and features dual sinks. There is all NEW wood look laminate flooring throughout the living spaces and NEW carpet in all 3 bedrooms. Additional features include : NEW ROOF. NEW HVAC SYSTEM. NEW WASHER & DRYER. NEW LIGHTING AND FANS. PRIVACY FENCING. This home has been completely painted inside and exterior. See it today!